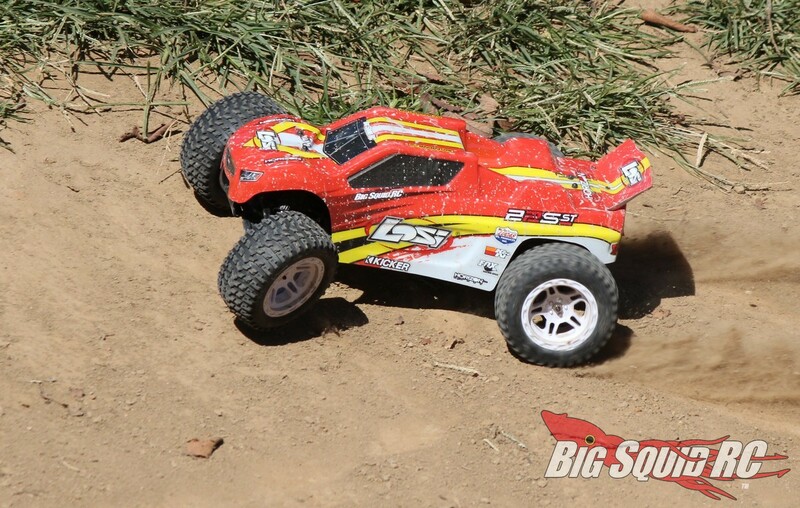 Losi 22S ST Brushless RTR Stadium Truck Review « Big Squid RC – RC Car and Truck News, Reviews, Videos, and More! 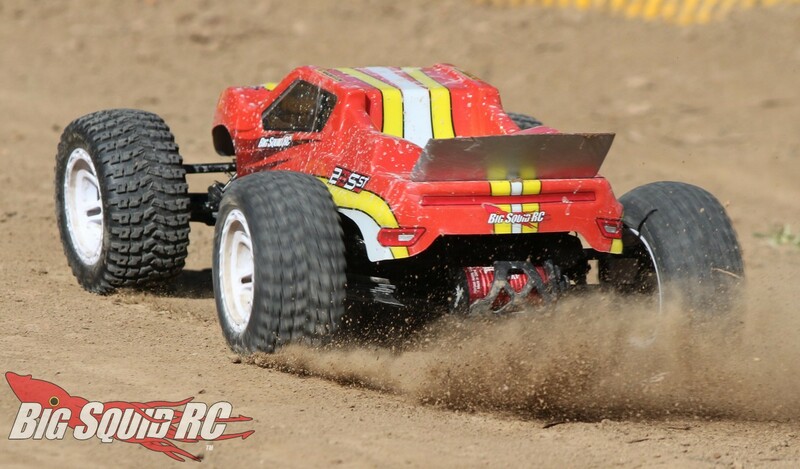 What’s Needed To Complete: To get the Losi up and running you’ll need a 2 or 3S LiPo pack for the truck (with an EC3 connector) and a battery charger. The truck comes completely assembled, and there are four AA cells supplied for the transmitter. 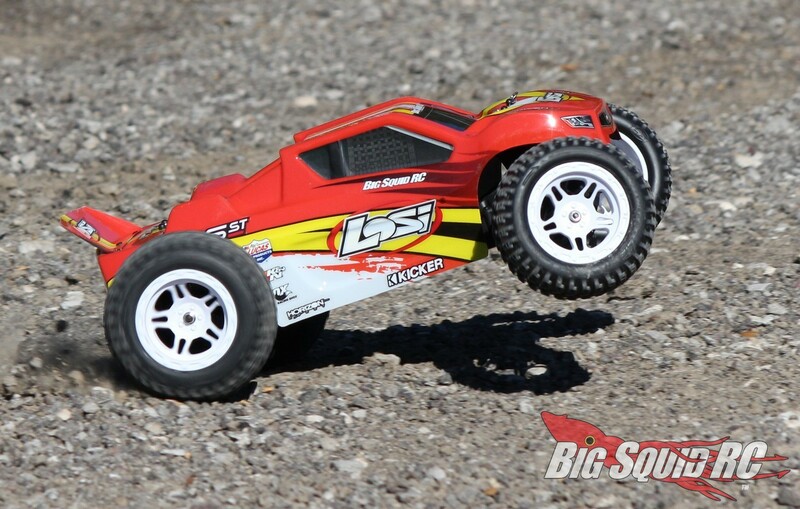 Build Quality: Out of the box we could find no fault with the assembly quality of the Losi. All the bolts were tight, nothing was stripped, the gear mesh was good, and the shocks felt properly filled. Test Drivers: Hawaiian Chris, Robbie G., Iron-Man-Mike, T-$$$, and yours truly. Test Venues: Minnie Ha Ha Park in Fenton Missouri, St Louis Dirtburners off-road track, and a city park in Arnold, Missouri. 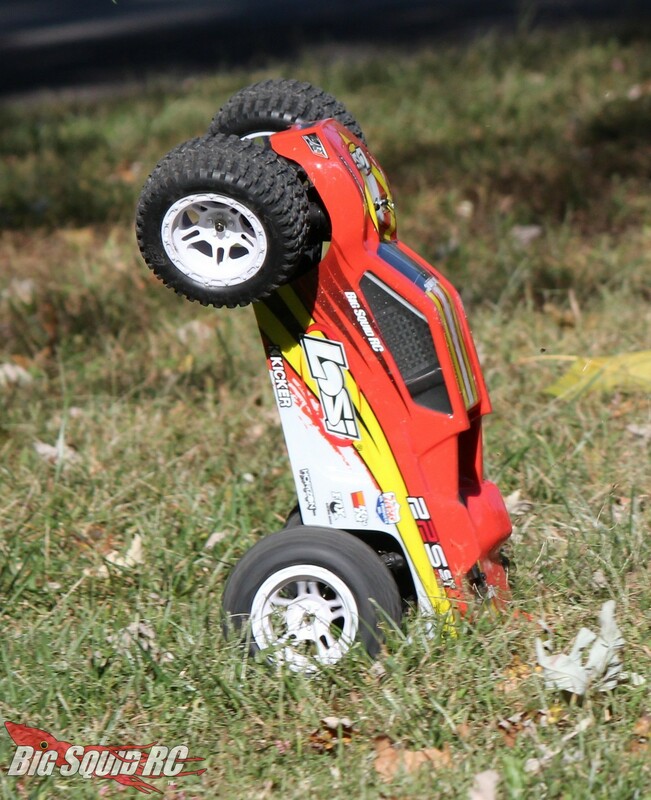 Set-up Notes: We ran the Losi bone stock and made no changes to the suspension or gearing. For power, we used a Dynamite 3S 5000mAh LiPo pack, with a Dynamite Passport Ultra Force Duo handling the charging duties. 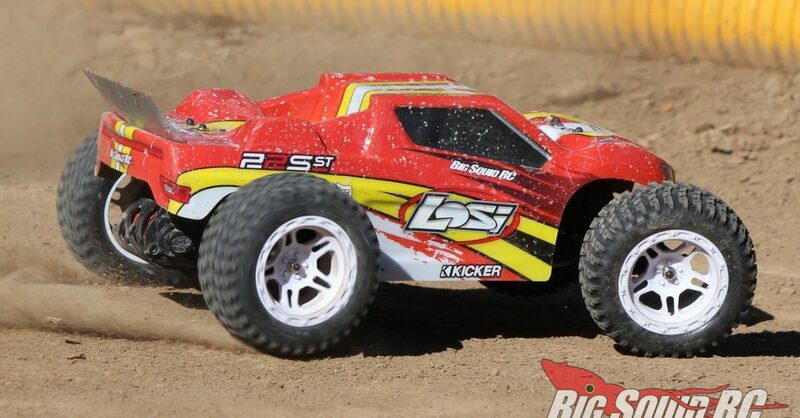 Turning: Like most Losi vehicles, the 22S ST has a lot of steering. Generally on most surfaces, the front tires turn right in at the corner entry, with excellent turning through the mid-corner and apex. The abundance of steering was well received by our more experienced test drivers, allowing them to really curve out their corners with aggression. 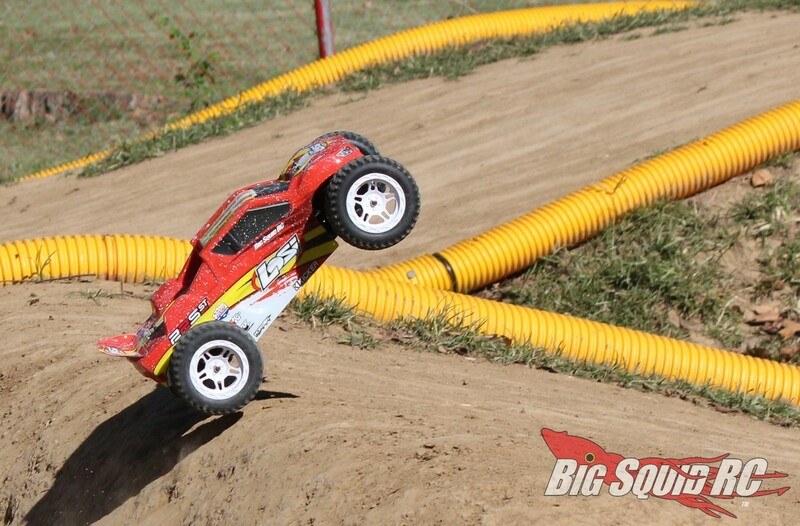 Jumping: For a 2wd stadium truck we felt that the Losi jumped extremely well. The truck did a great job of launching straight off a jump face, and could even be landed at slight angles without traction rolling. With the 22S ST being 2wd, it didn’t respond as quickly in the air to trigger inputs as a 4wd would, but for a 2wd rig, inputs translated well to changing the pitch of the truck. Taller landings could easily bottom the stock suspension, but for the majority of jumping that we did, it soaked up the landings just fine. 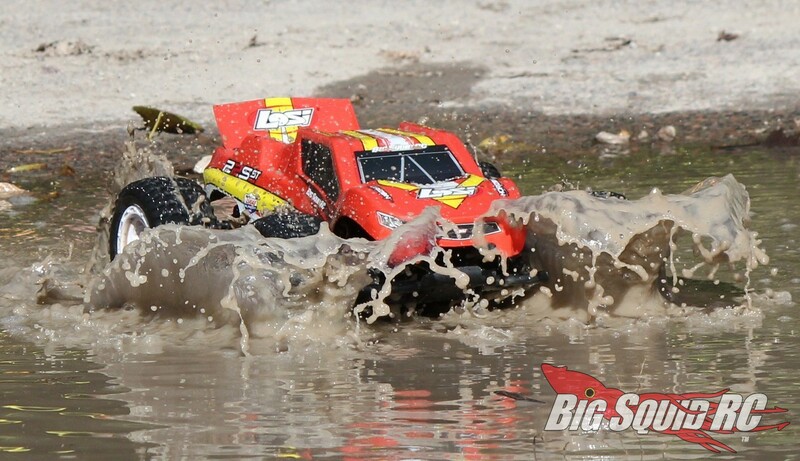 Bumps/Whoops: The large stadium truck sized tires and well set suspension allowed the Losi to really haul through the rough stuff. 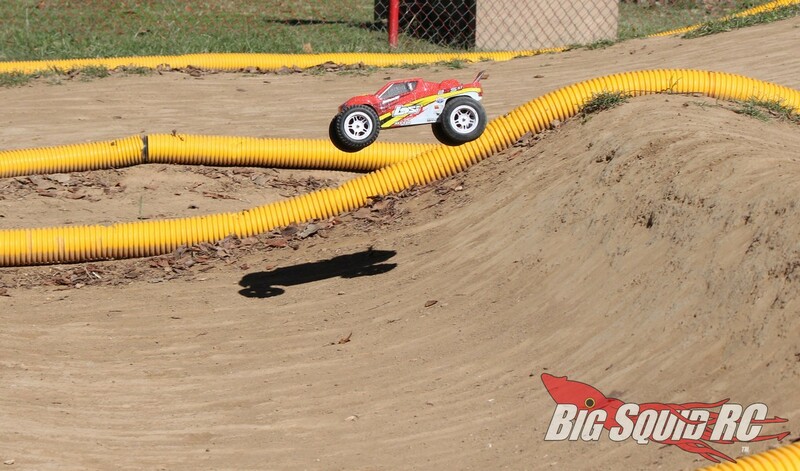 At one of our local parks, we found a long section of braking bumps that were created by full sized trucks. 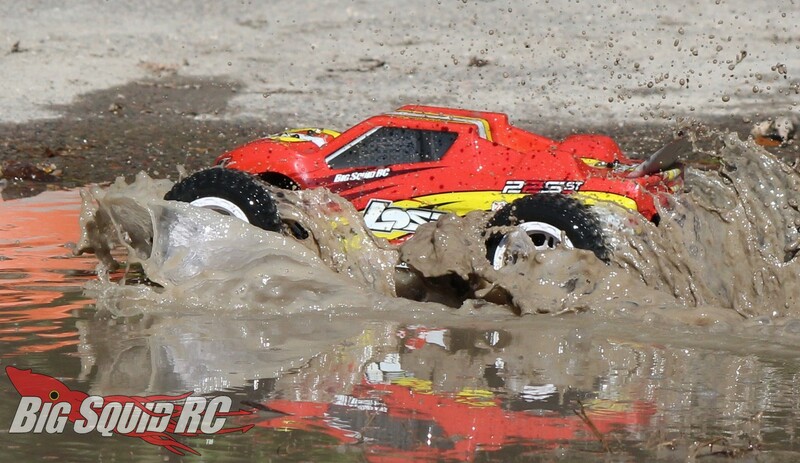 The Losi had no problem pounding them WFO. AVC also helps through the rough to make minor corrections when really pushing the envelope. 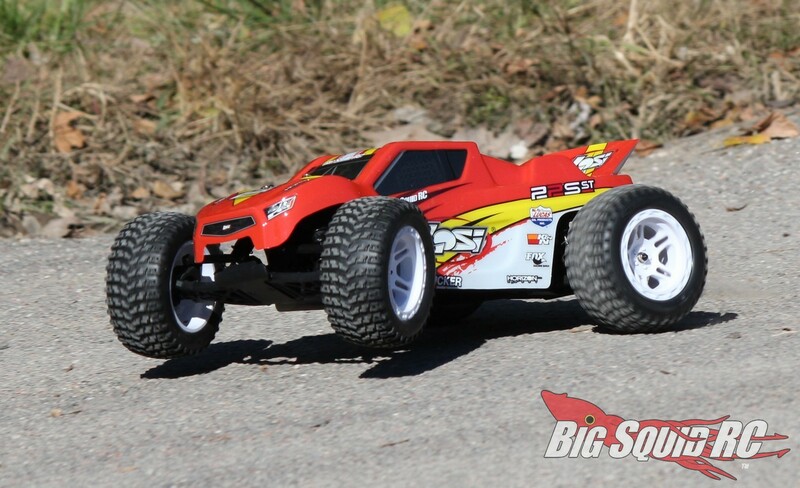 On-Road: The Losi was not designed to be driven on-road, but we had a blast while doing so. We found that it rarely traction rolled and its long travel suspension easily soaked up all the potholes we could find. Grass: If grass is mostly your venue, you should look at 4wd. 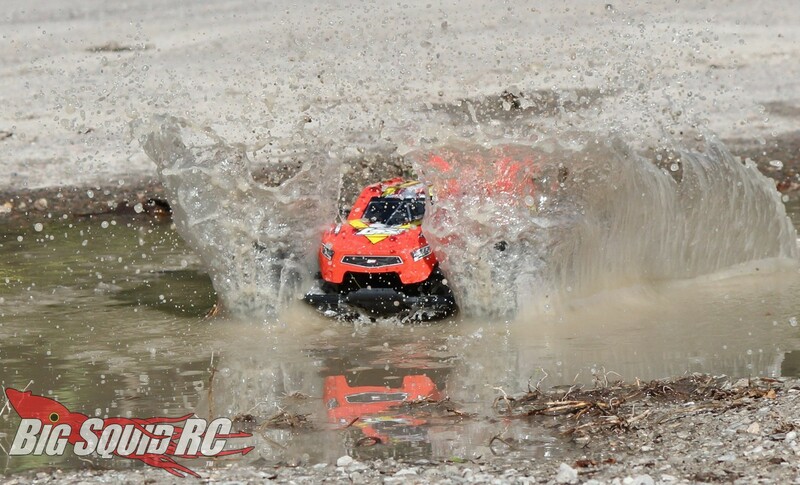 If a 2wd stadium truck is a must, the Losi does an excellent job. 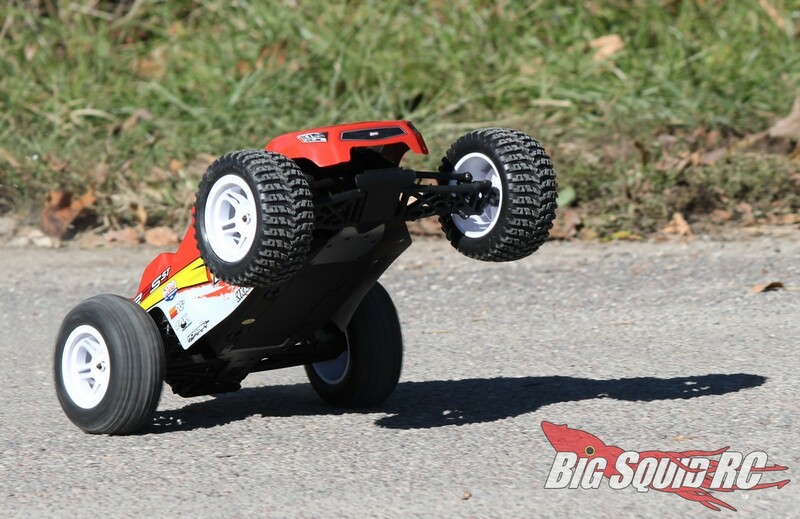 The stock tires absolutely love grass, while the truck’s brushless power system provides relentless power. Tires: The stock tires are best used on softer surfaces like mud, or loamy dirt, and they absolutely love grass. They work “OK” on pavement and on hard packed dirt like a track, but looser/softer surfaces is where they really provide traction. 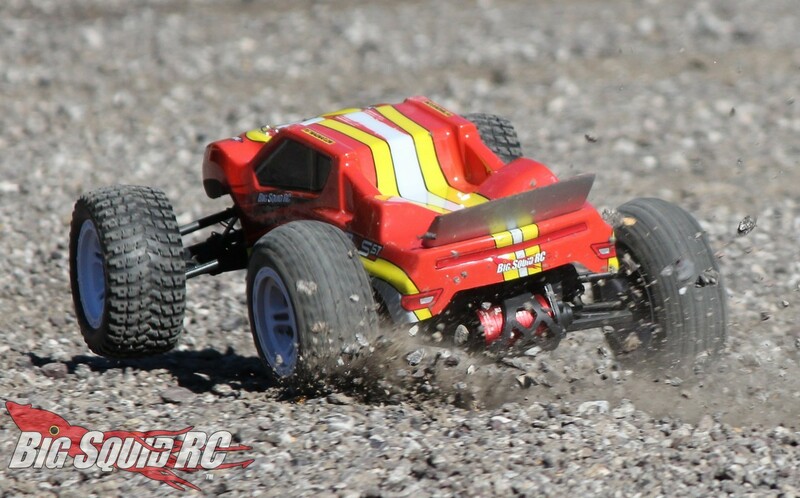 Power: The Losi comes with more power than a noobie can use, heck, it comes with more power than even most experienced drivers can put down on 3S. The speedo is programmed super soft right off the bottom to help make it drive-able on higher cell counts, then it rockets through the mid-range. Up top the power on 3S is plenty insane, with more than enough power to make huge jumps, high speed wheelies, etc. Radio: A Spektrum DX2E comes standard, a radio that worked without issue for us. With the 22S ST being a 2wd, we using the radio’s electronic stability function (AVC) all the time and it really helped. Broken Parts: Early on our test truck broke both of the rear body mounts, then one of the CVDs kept popping out. Otherwise, we put in a bunch of packs on the truck where we didn’t break anything. During this period we were just getting in some normal backyard bashing, the type we would expect a typical owner to put the truck through. After we got in all our drive time, we went big and ended up breaking the chassis right in front of the rear shock tower. The Losi comes with a bottom mount battery tray and we are on the fence about it. On one side it does make it easier to change out of a battery. On the other, it limits the size of pack you can use. Oh and, be sure and always pack a quarter on you (that’s what we used to open the battery door). Does the 22S ST handle as well as a full-race 22? No, but it wasn’t as far off as we anticipated. In fact, given some new tires and some minor suspension adjustments, we think you could absolutely race it at the local level. While the rear motor design does help rear traction on slick surfaces, we would much rather have seen the truck arrive with a mid-motor configuration. Why’s that? For two reasons. First off, handling could perhaps be even better using a mid-motor set-up. More importantly, a rear motor configuration is less than optimal for bashing. You long time hobbyists have probably landed right on the motor during severe rear landings, and you’ve probably ruined a few motors that way. As it stands with the 22S ST, the motor basically serves double duty as a rear bumper, not something we like to see on bash oriented trucks. 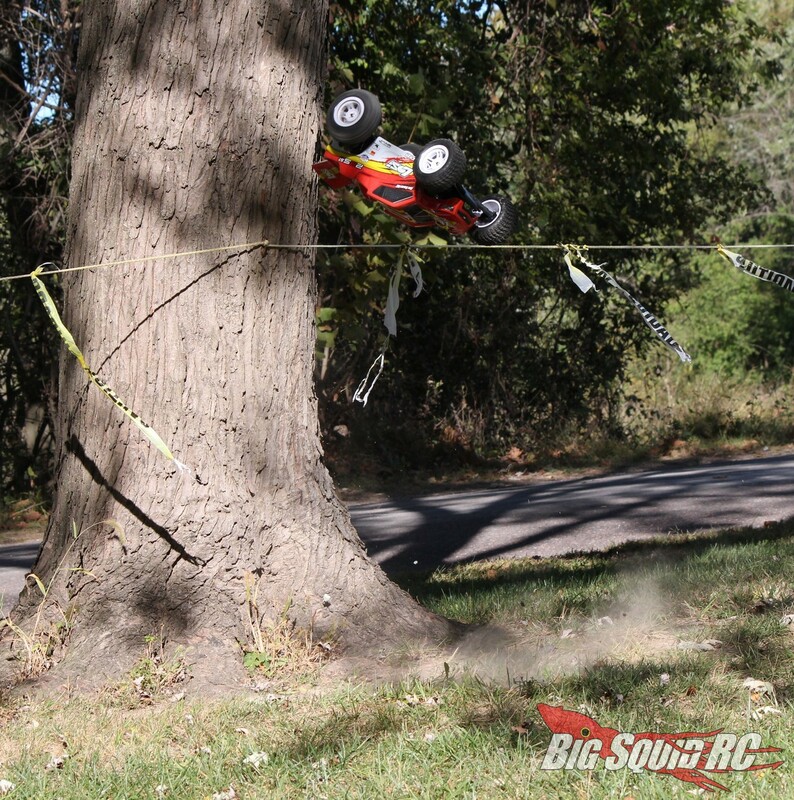 With that said, our motor held up fine, but then we steered away from hucking big jumps to pavement with the Losi. Best Mod: The best initial mod is to shim the rear CVDs to keep them from popping out. Time To Bash: B We had no problems getting the 22S ST up and running. The truck was assembled well and was ready to jam after installing a freshly charged LiPo. Workability: B The 22S ST uses a fairly standard truck layout and metric hardware to make it easy to spin wrenches on. Car Show Rating: B The body is fairly standard stadium truck fare, the wheels and tires have a great basher look to them. Bash-A-Bility: C While most of the truck is a tank, the rear body mounts and driveshafts were an early issue for our test truck. 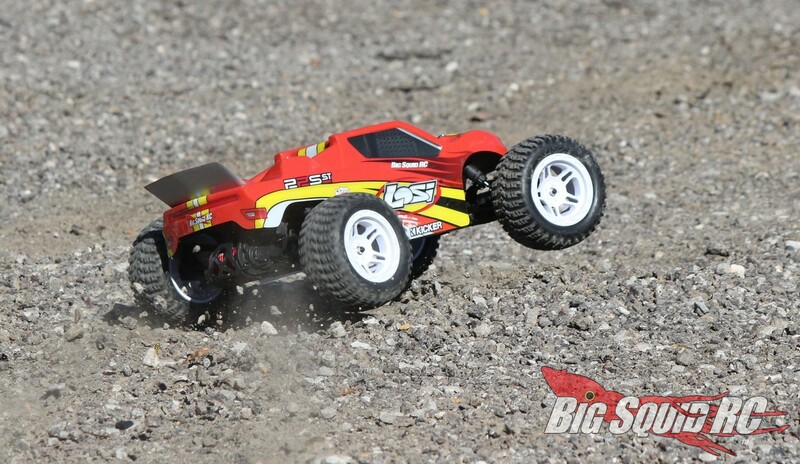 Fun Factor: B The Losi has loads of tire shredding power on tap and handles like it a champ, how can that not be fun? Handling: A If you are a stadium truck fan you will love how it handles. The 22S ST has great steering for a RTR and is arguable the best handling bash oriented stadium truck ever released. Also, the stock suspension settings were well done, allowing you to really push the truck, even straight out of the box. Value: B Our Bash Crew thought the 22S ST was a solid value at $299. Parts Availability: C After scouring the web and calling our local hobby shops, parts are easily found on-line, not so much at the local level. 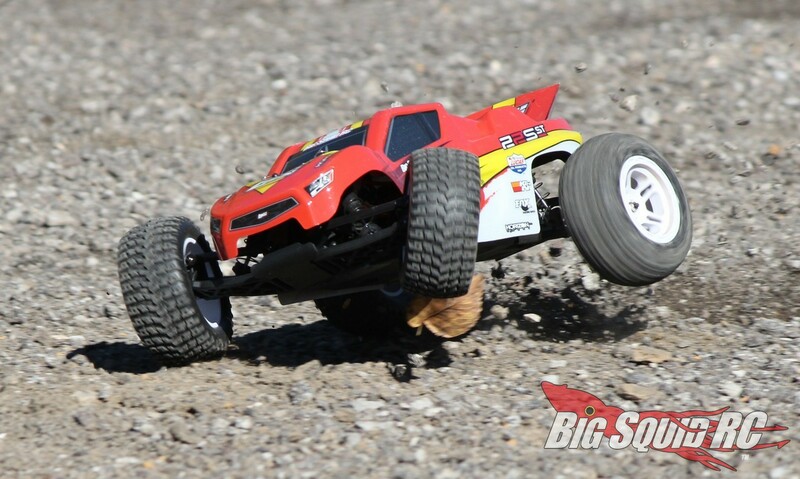 BigSquid Rating: B Yes stadium truck fans, the Losi 22S ST is an incredible handling bash machine and kicks out more power than 99% of hobbyists will ever use. 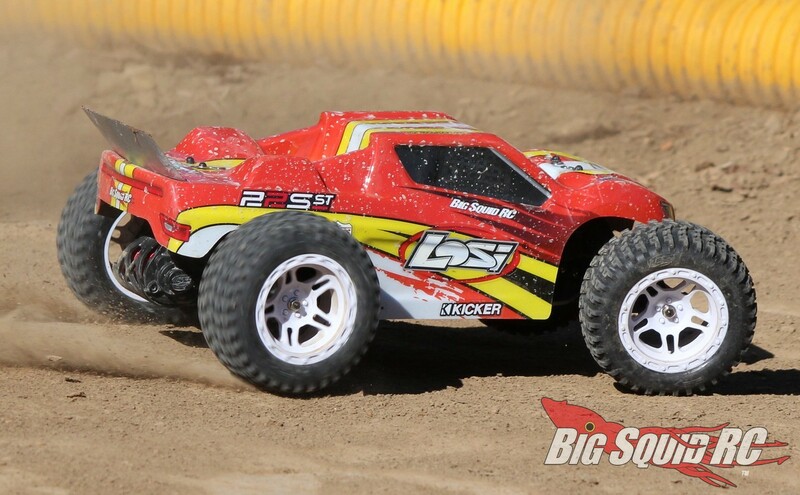 If you are looking for a stadium truck that can go crazy fast, and handles like it is on rails, the Losi 22S ST is for you.